Are you a Disney maniac who wants to get the most out of your trips when visiting Walt Disney World with your kids? So are we! We’re Kris and Megan. We’ve visited Walt Disney World (WDW) and Disneyland countless times with our four young kids! 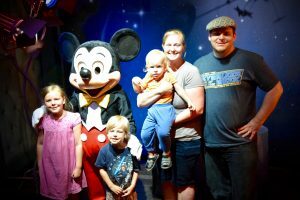 Having racked up plenty of “experience points,” I think we’re pretty much experts at this point and we want to share our knowledge with you on some of the ways we’ve been able to streamline our visits to WDW with our kids. The main way we’re doing this is through our blog and podcast which is dedicated to helping you and your kids have the best Disney trip possible! 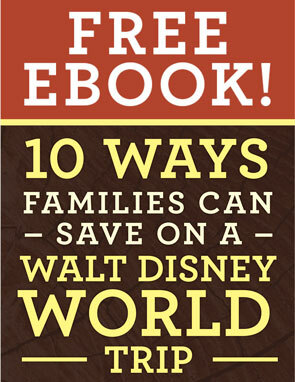 Please be sure to check out our free ebook that will help get you to Disney World with 10 Ways Families Can Save on a Walt Disney World Trip! Just enter your email address in the form below and we’ll send it on over to you! 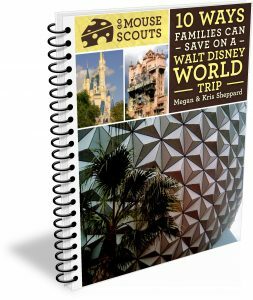 Subscribe to our mailing list and get our free Ebook 10 Ways Families Can Save on a Walt Disney World Trip!! Go Mouse Scouts is an unofficial website for fans, by fans about Walt Disney Parks and Resorts, and The Disney Company in general. I want to make it abundantly clear that Go Mouse Scouts is in no way affiliated with, endorsed or operated by, or officially connected in any way with The Walt Disney Company, Disney Enterprises, Inc., or any of their affiliates. All Disney parks, attractions, lands, shows, event names, etc. are registered trademarks of The Walt Disney Company. That said, all content and views expressed on this website, in our books, on our podcast, or any other media outlet are our own (unless otherwise noted) and © 2018 Kris & Megan Sheppard.